Many people recommend mint extract or essential oil to deter pests. 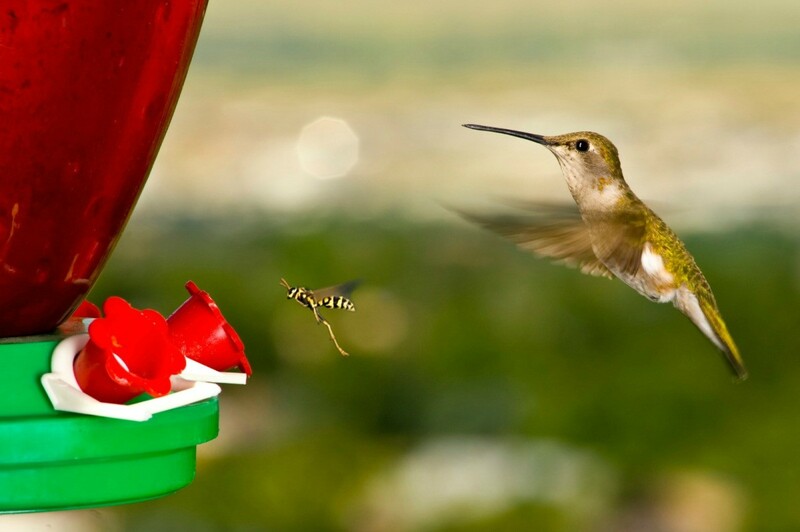 This is a guide about using mint to keep bees or wasps from a hummingbird feeder. The best solution I have found for keeping bees and wasps away from hummingbird feeders is mint extract of some sort. After I wash the feeders, and before I fill them, I take a Q-tip, dip it in the extract, and apply it to the ports. I also apply to the edge where the bottle comes in contact with the bottom, and, if applicable, along the seal created when putting top and bottoms together. This simple solution worked the first time I used it and has worked ever since. Using extracts can be costly. My tiny bottle lasted for over three years, and yes, it froze during the winter months. I haven't tried rubbing fresh mint leaves to the ports, etc., but I am sure this would also work. Any kind of mint extract can be used. I used peppermint extract at first but had to purchase mint when peppermint was no longer available. 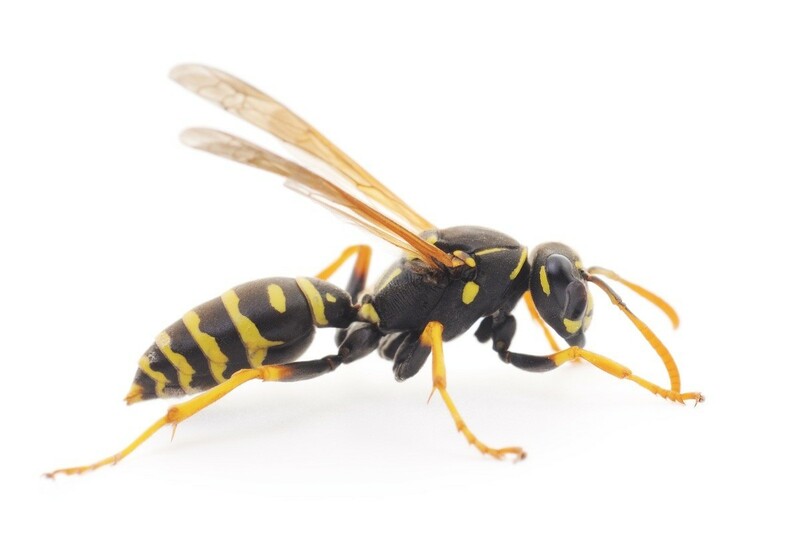 BTW, this deters bees, wasps, and yellow jackets. I apply the mint extract on the petals of the fake flowers, around the fake flowers, and where the bottle and lower halves of the feeding base joins. The extract has dried well before I fill and hang the feeders. I do not see how the hummers can ingest the extract or get it on their wings. I just took a Q-Tip soaked with peppermint oil & rubbed it on top of the feeders, away from the ports. The wasps, who had taken over, are nowhere to be found. Worth the money to invest in the oil & it's not harmful for the birds. gardening-for-life.com is a site that uses info from the Audubon Society. Mint is a food source. Hummers are ok around mint. Ok, as suggested by someone on this site, or maybe another, I took fresh mint and blended it with vegetable oil. Then I strained it leaving only minty oil. I put it all over the outside of feeders (including the top of the feeders where they eat EXCEPT the holes), around the seals and on the bottom where syrup can drip. I took a q-tip and dipped it in the solution and then squeezed the q-tip so that it wasn't soaked and went around the feeder holds with this and slightly in the holes, but the q-tip wasn't wet enough to leave any oil for ingestion for the birds. The birds have NO PROBLEM with this (see gardening-for-life.com on this subject), but the bees had problems. I had swarms of 300-400 honey bees. In my endeavors to keep them off the hummer feeders, at least 50 bees lost their lives. I tried to feed them a mixture of sugar water too. I put it in a container and put rocks in the middle so they could get on the rocks and dip their noses into the water, but the swarm became much greater (up to 500 bees) and they pushed each other into the water. Before I discovered this, many had died. I felt so terrible. So I stopped feeding them and this cut them in half, but the others still wanted the hummer feeders. It took 3-4 days, but most lost interest and moved on. You must keep applying, especially when it rains, but bees do not like this oil/mint mixture. I had about 25-30 hummers before the bees took over. I now have maybe ten. Again, I feel really bad about those bees and I was trying to accommodate them by feeding them too, but that was just inviting the entire neighborhood. I have a beekeeper less than 1/4 of a mile from here with approx. 10 hives. Anyway, problem solved. I did use mint from my herb garden. I probably used 15-20 leaves and a quarter to a half cup of oil. I am satisfied because the birds are happy again. Thank you for this! I didn't have immediate access to mint extract, but I made a little poltice out of ground up mint leaves *my handy mortar and pestle* plus a little oil and water. I rubbed it onto my hummingbird feeder after removing the yellow plastic "flowers" and the bees were immediately put off by it. I even saw them cleaning their feet before they left! The hummingbirds flew in immediately making up for lost time. THANK YOU! It worked miracles!